Antitrust and Distribution Law Blog: Will Kavanaugh's "Modern Approach" Change The Trajectory of Supreme Court Antitrust Jurisprudence? Will Kavanaugh's "Modern Approach" Change The Trajectory of Supreme Court Antitrust Jurisprudence? In my last post, I discussed one of Judge Kavanaugh's antitrust opinions, in which he argued for a "modern approach" to antitrust law. Others have similarly commented on Kavanaugh's willingness to modernize antitrust law by discarding outdated precedent and creating clear guidelines. Professor Stephen Calkins notes that "modern" appears six times in Kavanaugh's dissent in Anthem and four times in Whole Foods. In the latter case, Kavanaugh critiques older antitrust cases as "relics" with "loose" or "free-wheeling" analysis. According to Kavanaugh modern approach, antitrust cases that have not "stood the test of time," should be pushed "to the jurisprudence sidelines." Would this "modern approach" to antitrust law change the direction of the Supreme Court's jurisprudence? It is hard to say. After all, Justice Kennedy, whom Kavanaugh is nominated to replace, was himself a modernizer of antitrust law. Justice Kennedy authored the majority opinion in Brooke Group v. Brown & Williamson Tobacco, which heightened the standards for predatory pricing. Kennedy held that a plaintiff must show that a defendant's price was below cost and that the defendant would be able to raise prices and "recoup" those loses after competitors left the market. This modern standard is so hard to meet, that there have been virtually no successful predatory price cases after Kennedy's 1993 decision. In Leegin Creative Leather Products v. PSKS, Justice Kennedy reversed 100-years of antitrust precedent in holding that resale price maintenance would no longer be considered per se illegal. In so ruling, Justice Kennedy looked to modern "economic analysis," which showed that vertical retail price restraints could be procompetitive. Rather than continuing to follow outdated precedent, Kennedy explained that the Sherman Act should be treated as a "common-law statute" which can "evolve to meet the dynamics of present economic conditions." Kennedy was willing to overrule established precedent because "subsequent cases [and modern economic analysis] have undermined their doctrinal underpinnings." Similarly, Kennedy joined the majority in Twombly in changing the pleading standards for antitrust cases. That decision was based, in part, on the "costs of modern federal antitrust litigation and the increasing caseload of the federal courts." Two years later, Kennedy himself was the author of the majority opinion in Iqbal which confirmed that Twombly's heightened pleading standards apply to all cases. Together, Twombly and Iqbal represent the most significant change, or modernization, of civil procedure in decades. Given Justice Kennedy's willingness to discard outdated precedent and modernize antitrust law based on our current understanding of economic principles, Judge Kavanaugh's "modern" approach to antitrust law will likely simply be an extension of Justice Kennedy's jurisprudence, rather than a new approach. 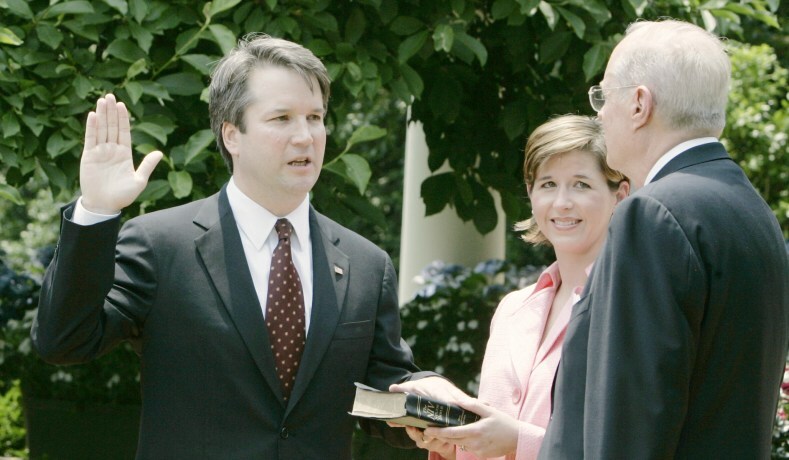 This is not altogether surprising considering that Judge Kavanaugh was a clerk for Justice Kennedy on the Supreme Court in 1993--the same year that Justice Kennedy created the modern standards for predatory pricing in Brooke Group.